Almost two years of anxiously waiting, it’s finally here. I must say it was definitely worth the wait! 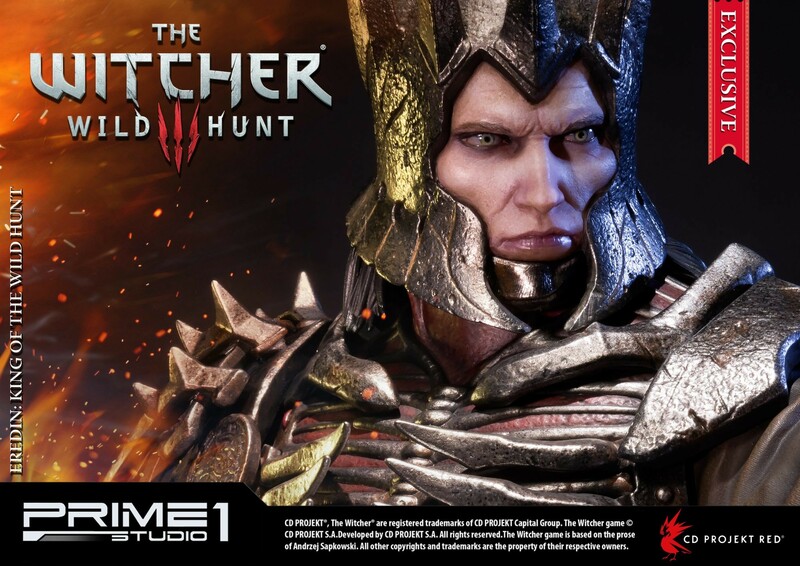 The Prime 1 Studio Witcher 3 Eredin statue is absolutely amazing. At 24 inches, this beautiful polystone statue is gorgeous. I’m not an expert in premium statues, but from what I see and read online, Prime 1 Studio is the cream of the crop in this space. I can certainly see why they’re the top premium statue company, the detail in this statue is amazing. The paint job is practically perfect, the plastic that is part of the armor looks like real metal, the detail in texture of the hound and base is incredible. By the time I pre-ordered my statue through Sideshow Collectibles, all the exclusive editions were sold out. However, this wasn’t a deal breaker for me since the exclusive add-on was only the mask-less head of Eredin. 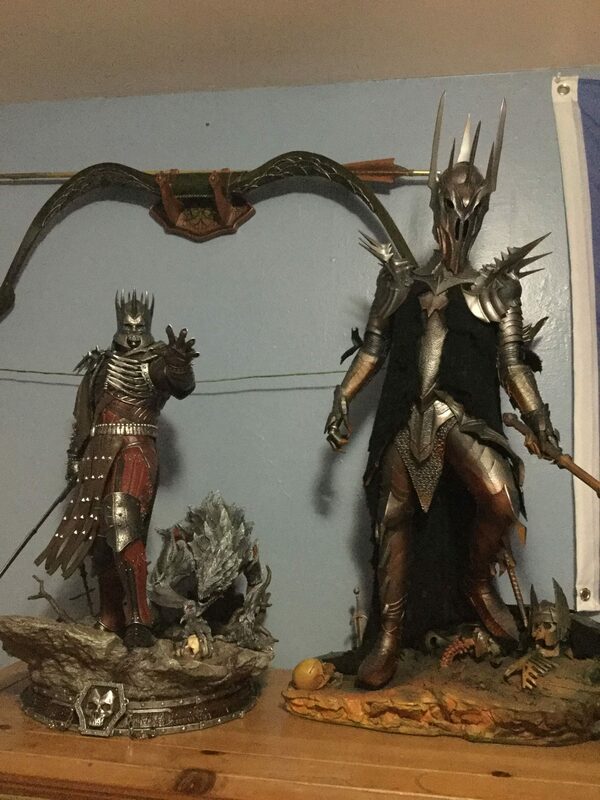 My primary motivation to purchase this pricey statue was to display it next to Sauron, so the regular masked sculpture was the one I wanted. Which I think visually fits better. 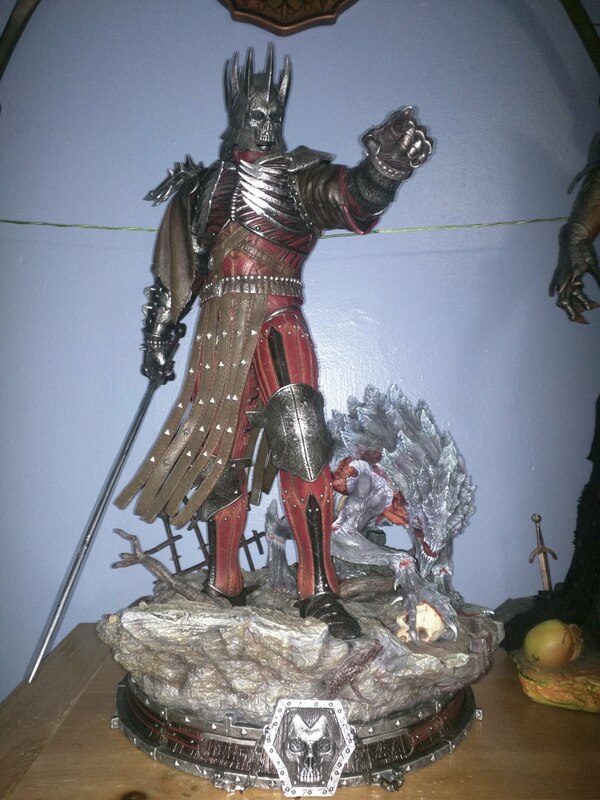 Having both Geralt and Eredin, I now can see why this statue was more expensive. 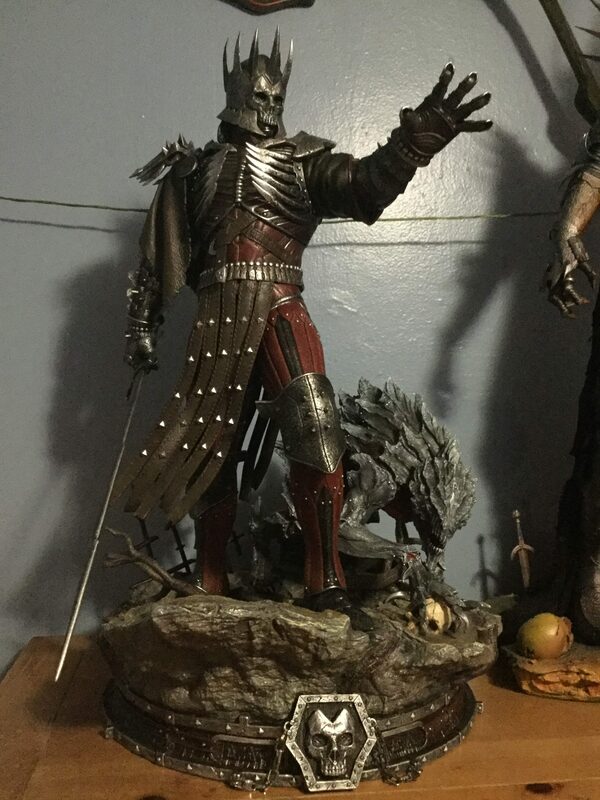 In my opinion the Eredin statue is better, though the Geralt statue might still have a better base overall. I love both of my Witcher 3 Prime 1 Studio statues, and have been incredibly impressed with them, I’m now 100% certain that I’ll be buying both Triss and Yennefer (normal or alternate) statues.